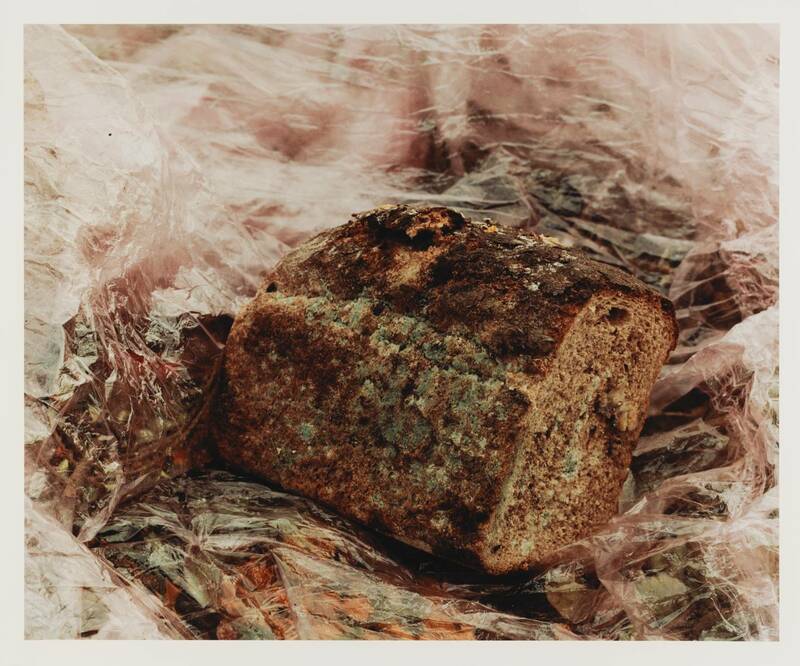 “Pictures from a Rubbish Tip” by Keith Arnatt includes photographs of moulding foods that people have thrown away. The wastage of food here is an interesting concept. Keith Arnatt makes things that usually are horrid, normal and plain or maybe not even considered interesting and photographs it as if it is art. This is of highly relevance to my project. Below is a photograph of a discarded loaf of mouldy bread taken by Keith Arnatt. His attention to detail in his photography is remarkable and he turns things that are commonly taken for granted like the growth of mould and its beauty into art. 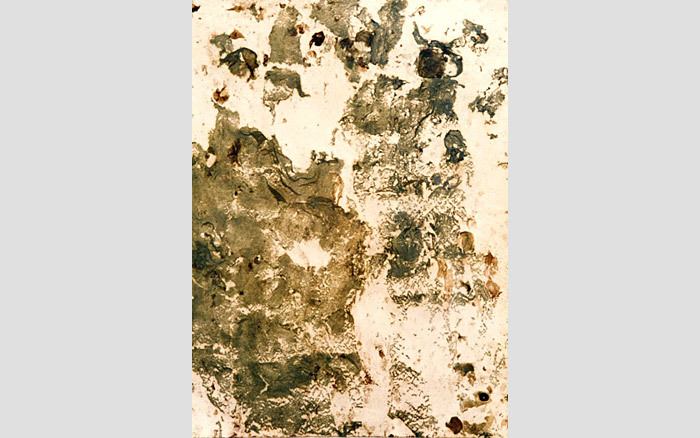 His work is inspirational to my project and encourages me to create mouldy artworks to almost force people to look at them so the idea of decaying over time and the mould produced is no longer just overlooked and thrown away. Obviously, you are not going to keep food items if they’ve gone mouldy because they look nice, or are interesting. 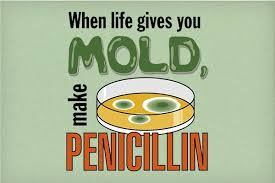 But in the right environment, mould and decay shouldn’t be considered as it is, repulsive and almost useless. I believe anything can be made into an artwork. ITS NOT THE MATERIALS YOU’RE WORKING WITH, IT’S WHAT YOU DO WITH THEM. 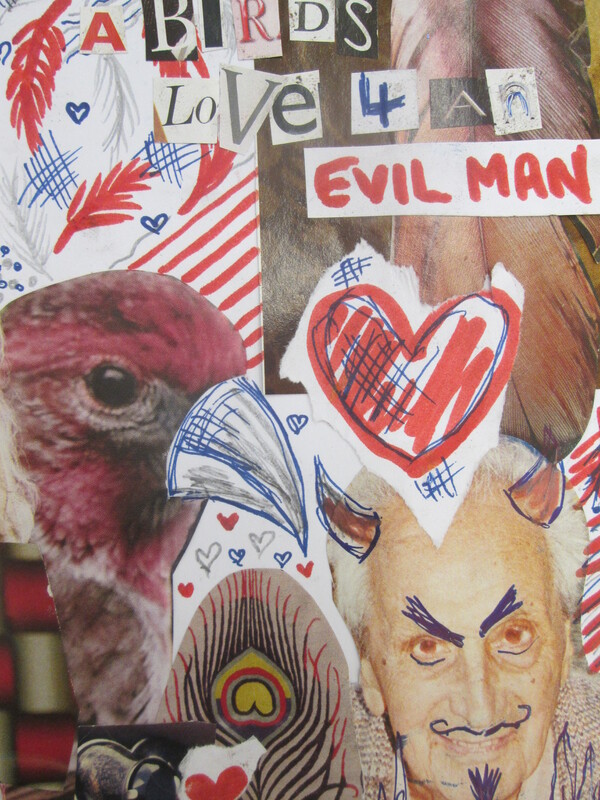 As part of manifesto/2D option, I have produced collages that include drawings and magazine imagery. When producing these two collages below, I let the imagery guide me and didn’t really worry about the outcome. However, I am pleased with how they turned out and I guess you could say they were quite humourous. I really enjoy experimenting with collage and playing with the Idea that “YOU CAN CREATE NEW AND INTERESTING THINGS FROM THE OLD OR ALREADY EXISTING”. I have experimented with photo montage in this project but it was beneficial to use collage and I’ve never experimented with half drawing-half collage so that was something new. Manifesto has definitely opened my eyes to new materials and techniques. Within manifesto, I also have experimented with a culmination of print techniques. 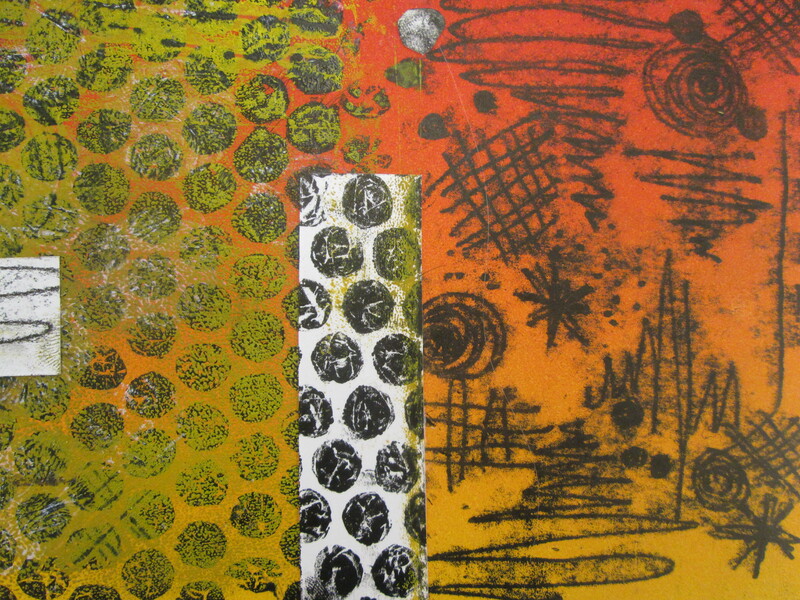 To create this print, I used a variety of processes including: Monoprint, Simple Etching, Collage, Colour Blending, Drawing and Printing by dipping items into ink and simply pressing them onto the paper. I feel the result is fairly successful considering I am not at all experienced in the area of print. It looks visually interesting and was enjoyable to create even though it was quite time-consuming. 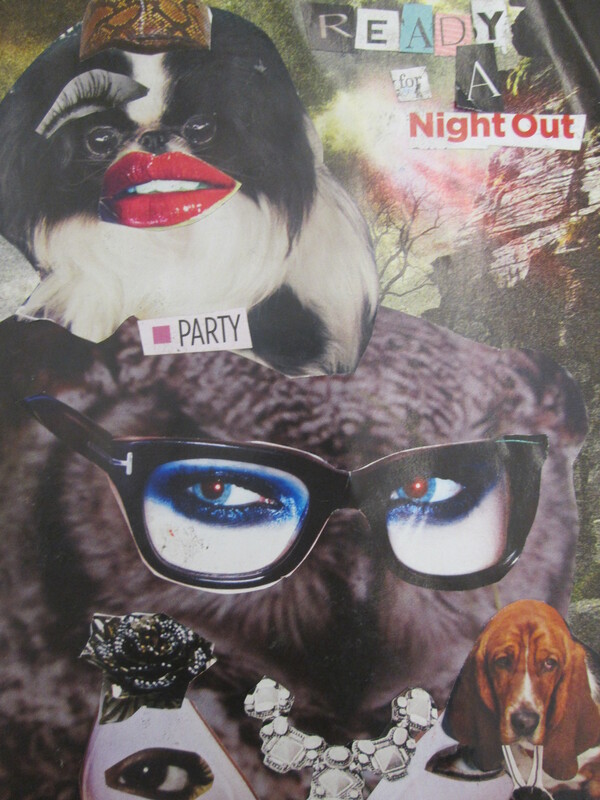 I could think about collaging the magazine imagery on top of this print that I have already produced. 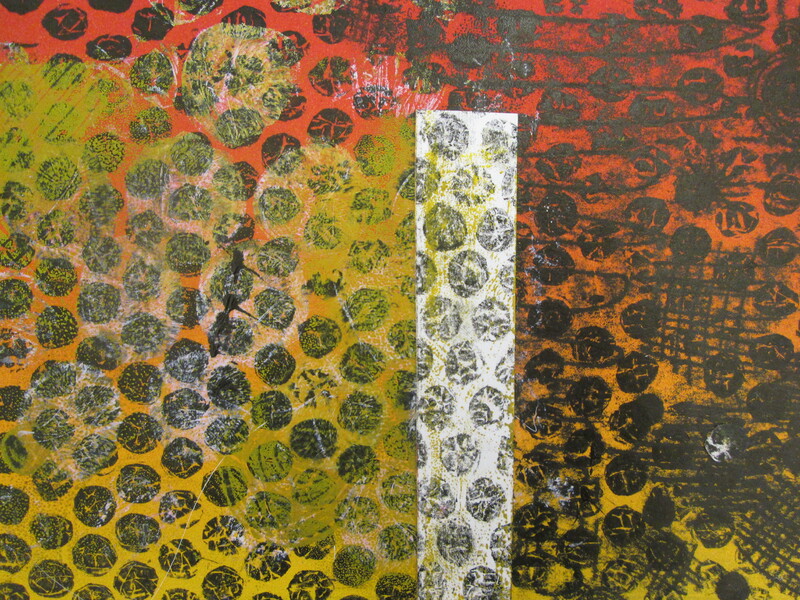 To create the mark making, I simply drew onto the back of the print on top of a surface if ink (monoprint). I have included cross hatching and varied marks to achieve quite a visually interesting effect. To produce the round dot like effect, I dipped different sized bubble wrap into different coloured inks and simply stamped/printed them onto the paper. 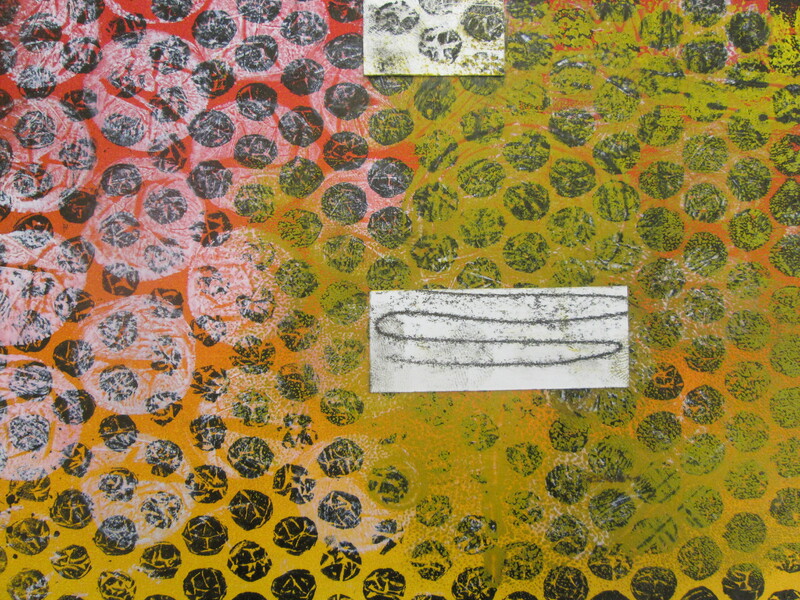 I blended red and yellow inks for the background using oil based inks, rolling them out, rolling onto plastic and feeding it through the etching press with paper layed on top of it. This session encouraged me to think about combining different techniques, processes and materials to create artworks, rather than being traditional in my approach. 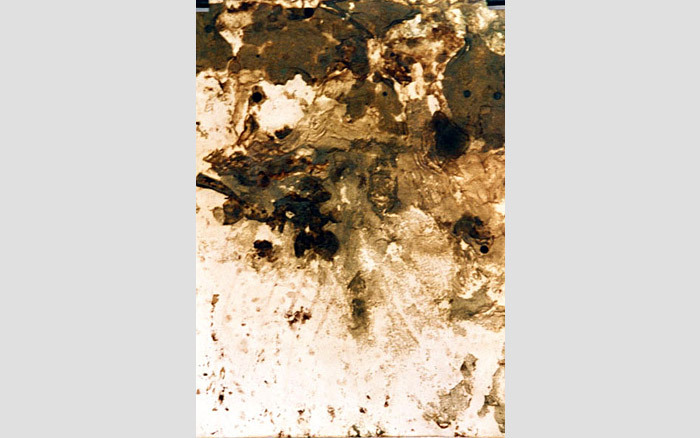 In the 3rd session of manifesto, I experimented with the technique of frottage – the technique or process of taking a rubbing from an uneven surface to form the basis of a work of art. 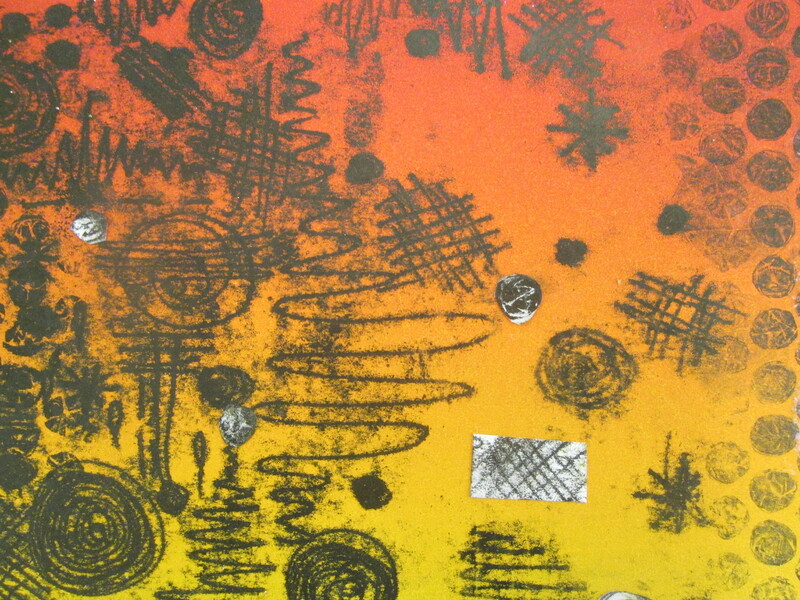 I produced many rubbings from variety of surfaces and starting cutting them up to create something new. I can see how this technique could be effective and would definitely help create texture within artwork. 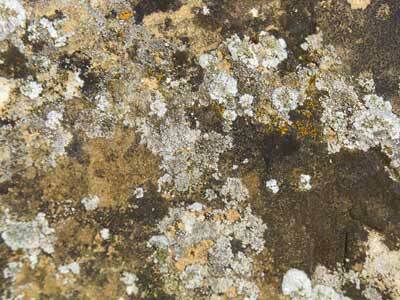 Some textures are incredibly hard to draw e.g. corugated cardboard, so this method could definitely help with that. However, I didn’t enjoy experimenting with frottage and nor did I create anything I was happy with, so I will have to play with it more. Maybe I could combine it with magazine imagery or use it to collage on top of prints etc. When Experimenting with frottage, I was introduced to the work of Max Ernst, an artist who uses the textures he achieves from frottage to create imagery. 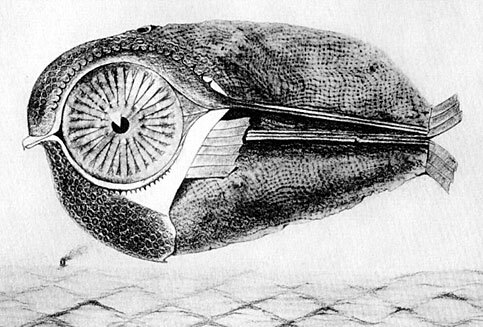 For example, if he rubbed a surface that gave him a drawing of a texture that looked like fish scales, he would use it to make a piece that included a fish of some kind. He found frottage far more beneficial than wasting time drawing textures. 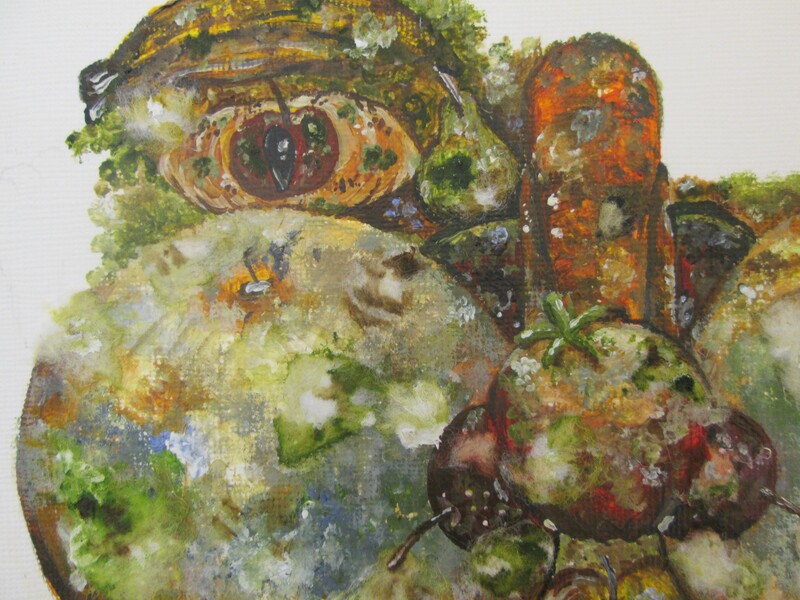 It was interesting to see what an established artist had done with frottage and the benefits of working with it. Manifesto for me has been all about experimentation and getting a feel for new processes and new ways of making artwork. I think it has been very beneficial and a valuable insight into techniques that could be developed within my own personal art practice. 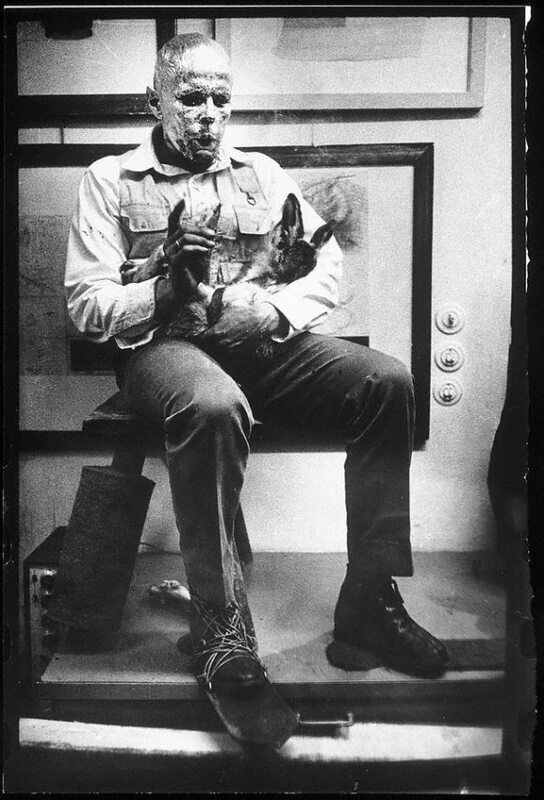 Joseph Beuys (born 1921) was brought up during the war. He came part of the Hitler youth and took part in the Nuremberg Rally. In 1941 he volunteered for the German Air force and it was actually around this time that he seriously considered becoming an artist. He had a crash in one of the aircraft’s in 1943 and famously told how he was rescued by tribesmen who used fat and felt to warm and heal him. 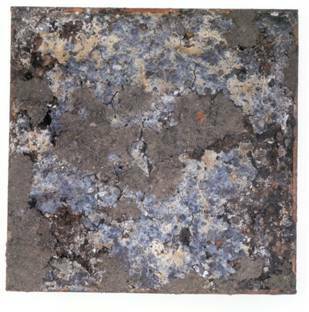 Consequently, Two of the main materials used in his art work are Fat and Felt. 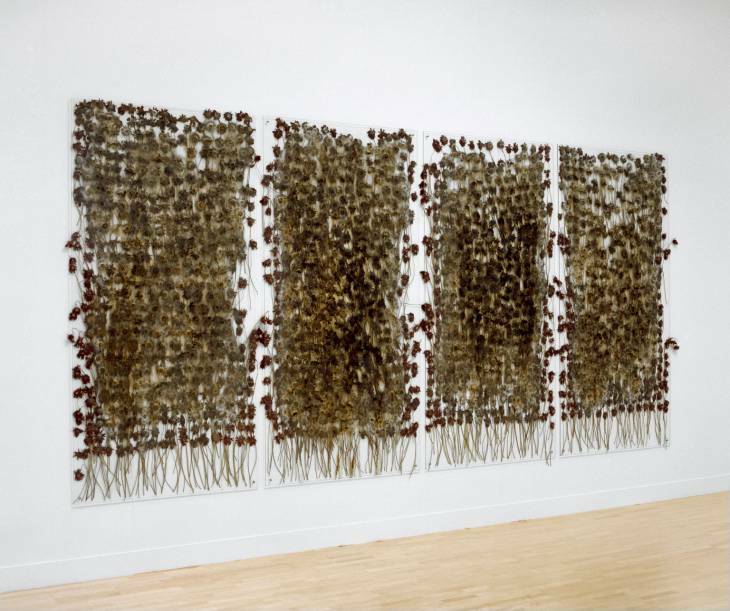 These materials are seen in his pieces ‘The Chair’ (1964-95) and ‘The Chief’ (1964). Beuys was heavily influenced by the Rudolf Steiner who created a new spiritual movement where he tried to combine science and spirituality.Following the war Beuys decided to study sculpture after which he took up teaching. 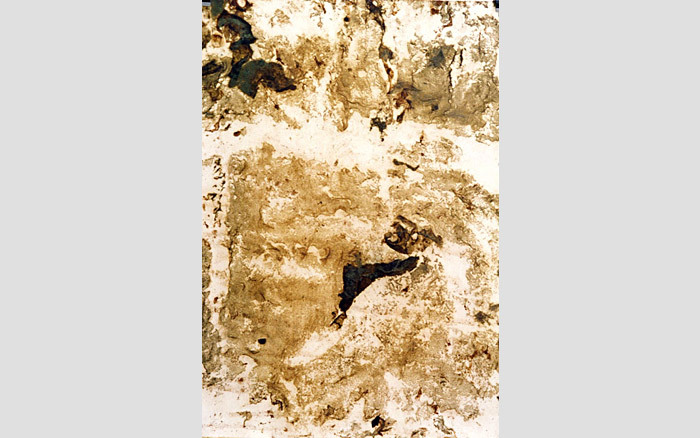 In his piece ‘How to Explain Images to a Dead Hare’ (1965), Beuys has used materials such as Bees, hares, Fat, Honey and Gold to represent his feelings and artistic Ideas. The Bees represent an ideal society, the Hare comes from Irish superstition that anyone who harms a Hare will suffer and the iron shows a connection to the earth. 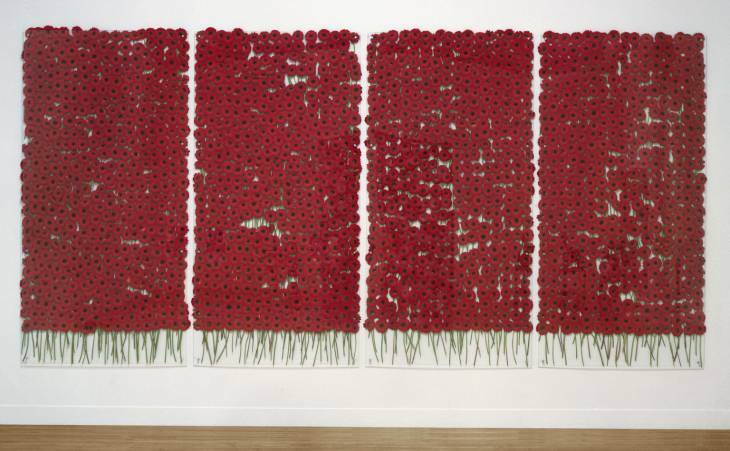 Beuys has used art as a release to help him deal with the memories of war-time. Seen in his piece “Auschwitz Demonstration.” He has also challenged what art is and pushed boundaries. He signed lots of bananas and called them art which encouraged people to think about What art means. Does Art change society? Does Art change you as a person? Is Art useless? Does art change you as a person? Is it a release? Do many people not understand Art? Can Art give you a sense of the Artists personality? This is highly relevant to today’s art world as artists are constantly trying to push the boundaries of what art is. 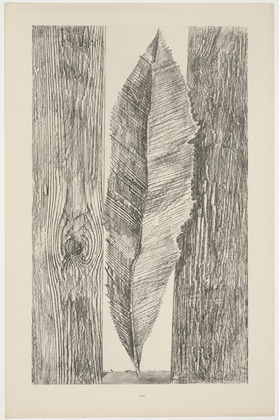 Andre Stitt became very inspired by the performance work of Joseph Beuys, particularly Beuy’s performance “I lIke America and America likes me” also known as ‘Coyote’ from 1974. 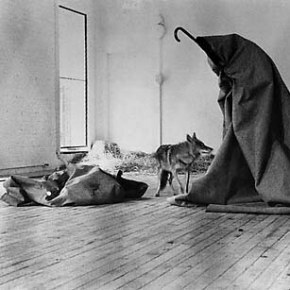 In this performance, Beuys spends 3 days sharing a room with a wild coyote, this piece looks at time and the relationship between the Coyote and the artist. Stitt says: “If it’s an artwork it is haunted by the idea of a document, if it’s a document its haunted by the idea of the artwork”. 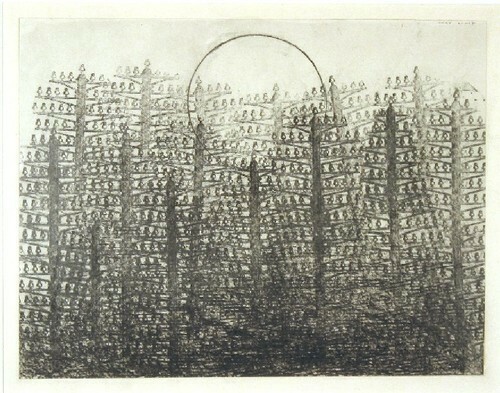 With this in mind, Stitt decided to create his own piece entitled ‘Dingo’ in which he uses very similar ideas and makes a response to “Coyote”. When we view art and performance art we feel various emotions which inevitably change our lives in come way or another, in that we had that experience and it is now part of us. “The best performance art occurs what subjects or images are wrenched out of context using unexpected, destabilizing or unfamiliar methods and materials. 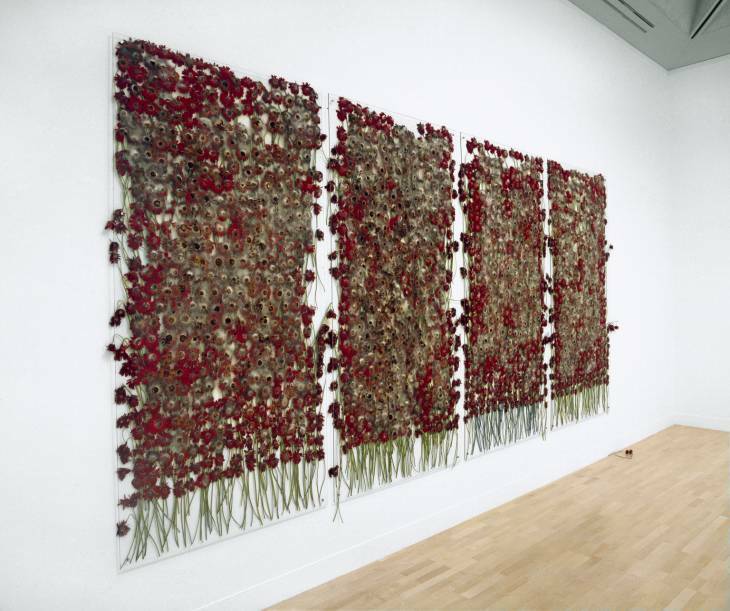 They challenge the spectator’s preconceptions” – Stitt. Performance is almost anti art market. It cannot be bought like a painting it just leaves memories in the mind of the viewer. What are you going through when making art? or when you look at the work of others? “As you get old, I feel you experience Loss more”. Does making art make you feel immortal? “The Idea that a painting could be in a gallery long after you die could give you a sense of immortality”. 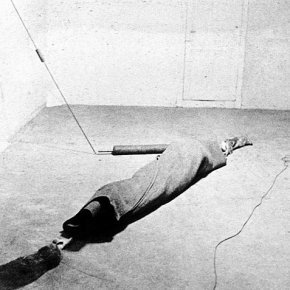 Joseph Beuys is very human and full of contradiction which is what Stitt likes about him. Being a human being makes us full of opinion. 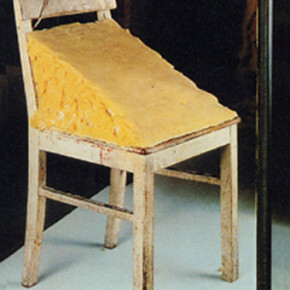 Beuys really is quite revolutionary and there are countless artists influenced by Beuy’s Legacy. 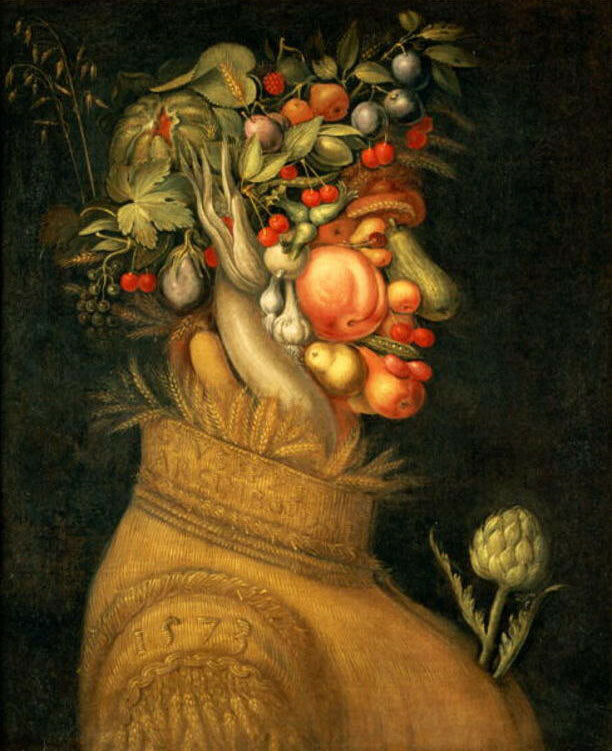 Arcimboldo Giuseppe was an Italian painter best known for creating imaginative portrait heads made entirely of such objects as fruits, vegetables, flowers, fish, and books. His most recognised work today is called “Vertumnus”. 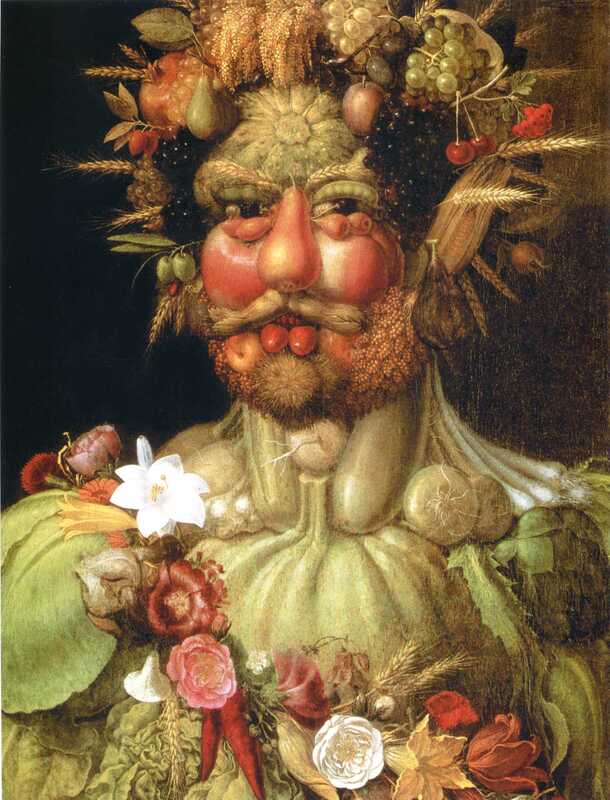 After encountering the work of Arcimboldo Giuseppe, I instantly had an idea of how to relate his influence to my project work. Making moulding food faces was something I was keen to experiment with to add a new angle to my project. I think his pieces are incredibly clever and well thought out. Also, they are very contemporary considering they were made so long ago. I imagine at the time he was making these people wouldn’t really have appreciated his genius but today his work is distinct and recognisable to many. Giuseppe manages to create a very balance composition within his work and like I have, choses appropriate objects to represent certain facial features. I am highly inspired by his work and it encourages me to create things that people could appreciate years down the line. I think it is important to play with lots of different ideas with in a project because after all it is an investigation. 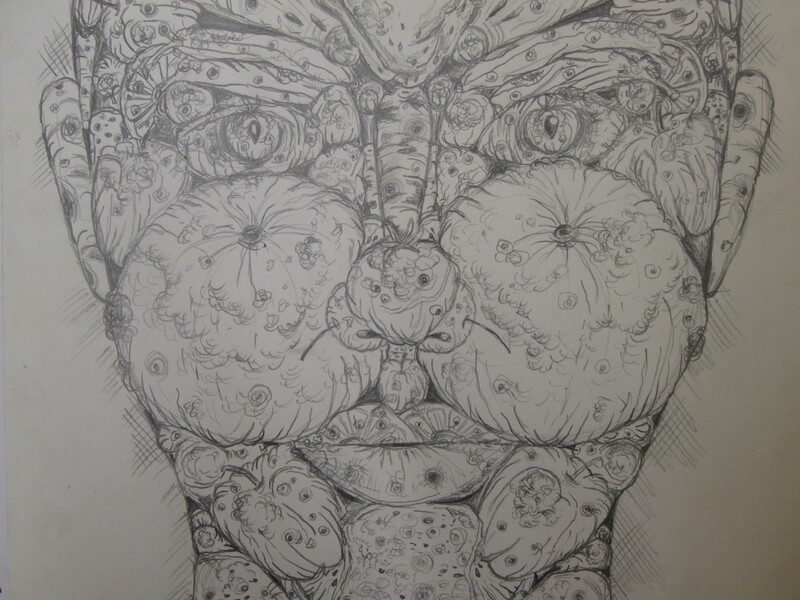 I started by drawing a face made up of moulding food. It was relatively easy to choose which food would make which feature. For example a decaying orange was the obvious choice for a cheek here. In this sketch, I have tried to incorporate as many rotting foods as I can. I decided where to place them by considering their shape and colour. Giuseppe would definitely have made conscious decisions when creating his works. 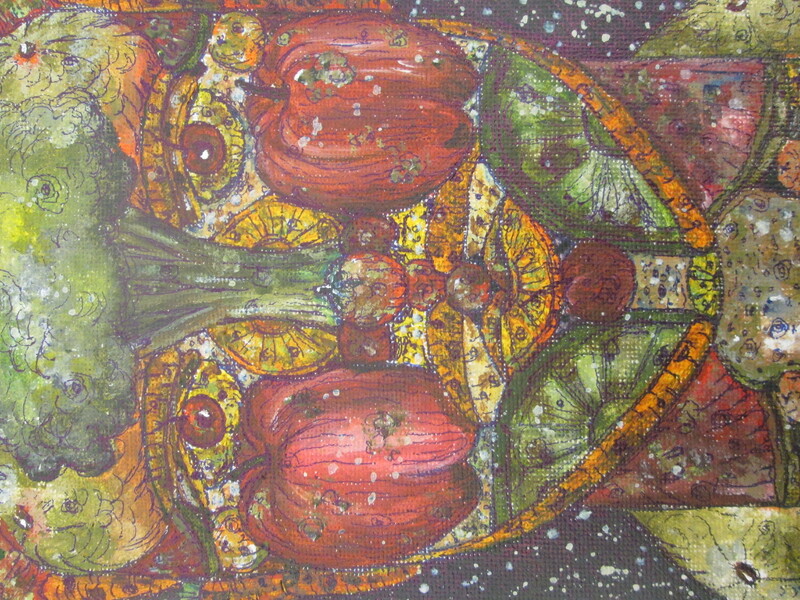 I feel that creating moulding food faces is quite an innovative way of relating the decay of food to the decay of life. To me, the piece below symbolises how the person’s life may be decaying or crumbling around them. 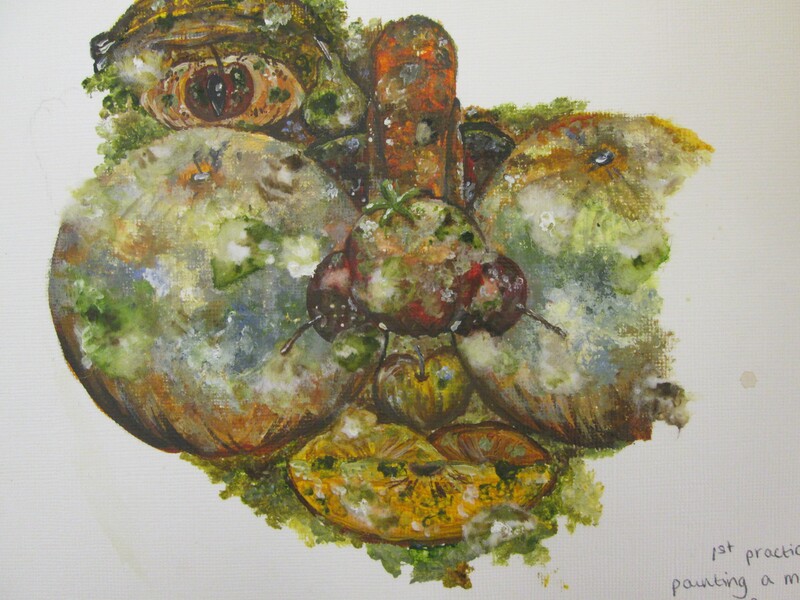 I used a variety of materials to produce this artwork including acrylic paint, sugar, salt and cotton wool. 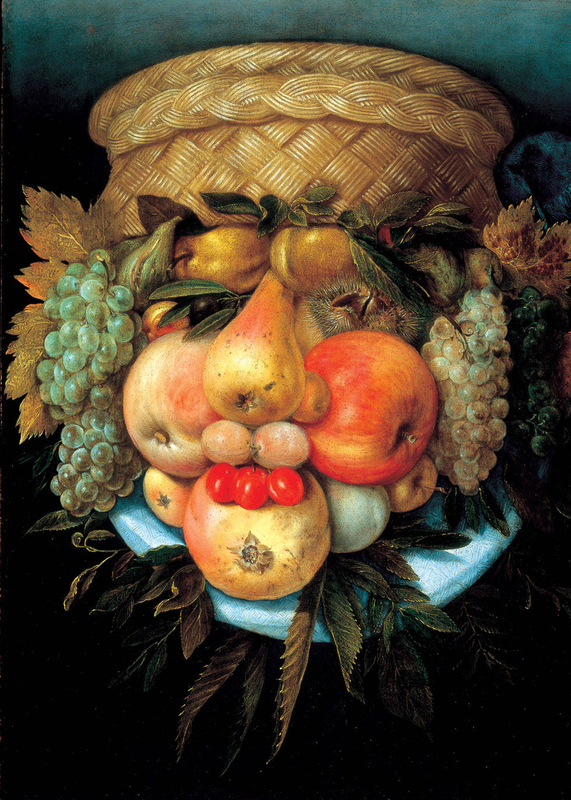 I was worried that the facial features may get lost in the similar colour palette or it would end up just looking like a pile of moulding food, but actually I think it is relatively easy to see that this is a painting of a face. I think the result is fairly successful and is a great addition to my project work. Overall, I am pleased with the way that this moulding face has turned out. 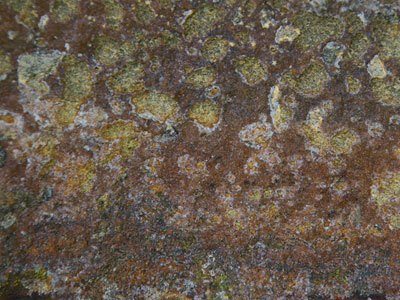 It captures the essence of decay accurately and almost changes the viewers perception of decay. 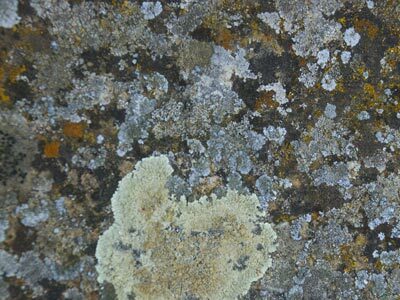 This no longer looks like a horrible painting of mould, it is far more interesting and thought-provoking than that. Since creating this piece I have experimented with creating a few more using different materials like pens and palette knifes. The results are shown below. I think the 1st of these two pieces is quite successful. 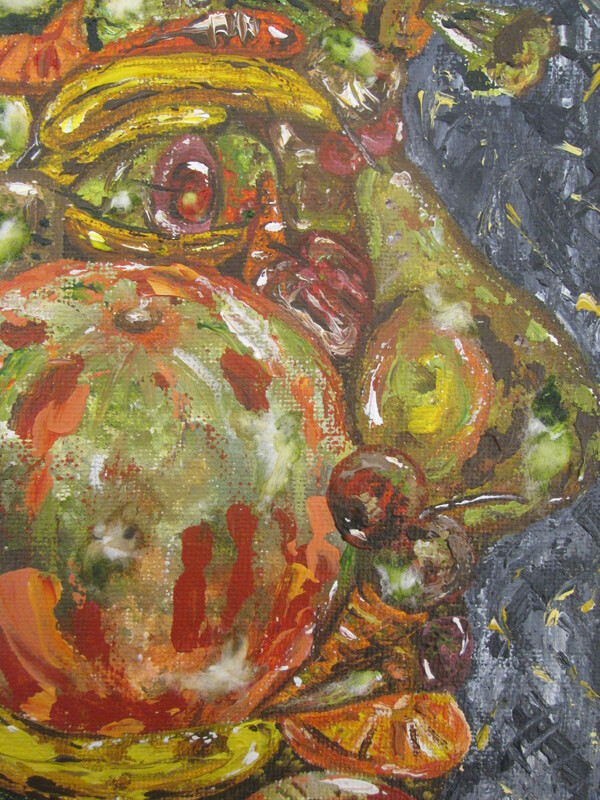 I used a palette knife to highlight the foods and incorporated cotton wool into it to give the decay a more realistic look. However, I don’t think the 2nd piece with the pen work look mouldy or decaying enough. I enjoyed creating these pieces and it was definitely beneficial to experiment with different ideas and techniques but for now I think I will move on from Giuseppe’s influence. There are many ways I could progress from this however. 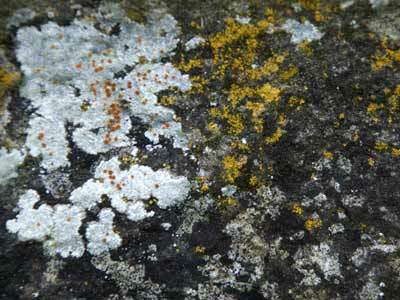 I could create landscapes made up of mouldy food or make a sculpture. I feel as if I am progressing as an artist and Giuseppe’s artworks are just some of many that have helped me do so. In this Workshop, I experimented with a variety of drawing techniques using black indian ink and charcoal. I feel these techniques have helped me to draw the life model more successfully than if i was just using a pencil or charcoal on its own. The ink almost guided me and took all my anxieties about proportion and making things perfect away. In this workshop I worked with two conditions: Wet on Wet and Wet on Dry. Wetting the paper first encouraged the ink to bleed and run more where as just painting it onto dry paper gave it a little bit more control and I was able to produce more crisp lines. I started the portrait below by wetting the paper and painting on the rough shape of the life models face and features with ink. I had no control over how the ink was going to spread or how much it would bleed, which in a way was positive as it stopped me worrying about making a completely proportionally accurate drawing and more about making something visually exciting. I added water to the ink in different quantities in separate containers so I could use the different strengths to create a sense of light and shadow and tone. The Patterns that the ink made were completely involuntary and out of my control. After I was happy with the appearance of the ink on paper I let it dry and used it as a guide to draw in the face and details in charcoal. I was surprised by how well this drawing turned out considering I didn’t think about scale or proportion at all. I usually find drawing the human face extremely challenging but the ink made my drawing style more free. I let the ink guide me and then drew into it rather than drawing the details in first and then applying the ink. 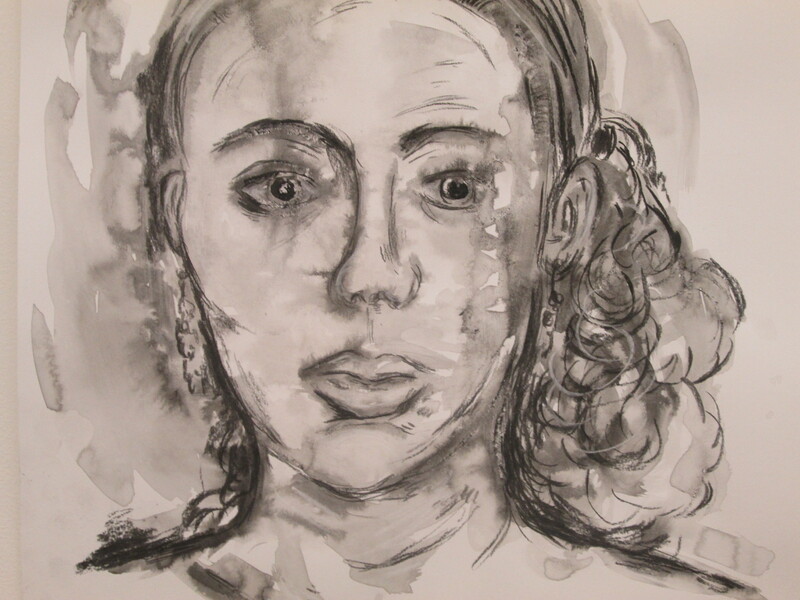 Before undertaking this workshop I looked at the ink artworks of south african artist Marlene Dumas. Her work encouraged me not to worry about what the ink is doing on the page because it’s the natural “mistakes” that can make the best outcomes. 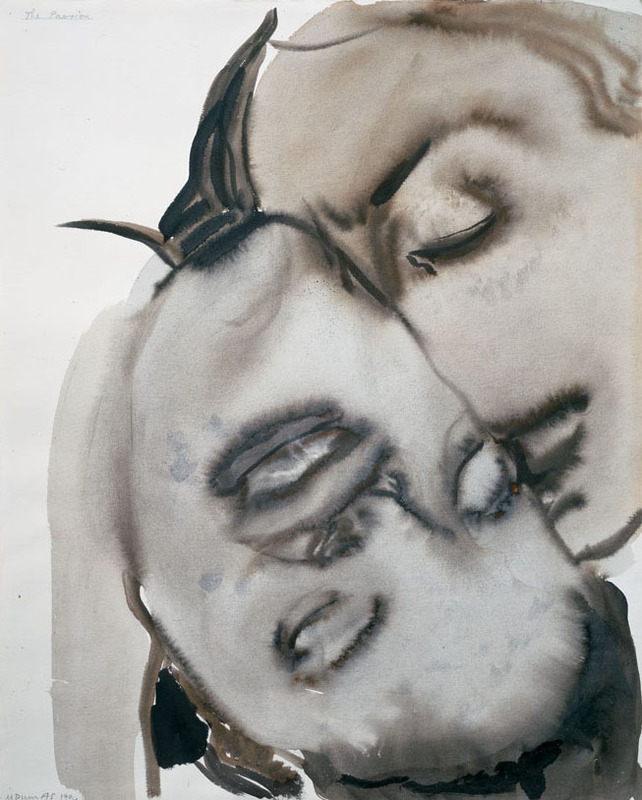 Marlene Dumas portraits are very free and almost abstract in some ways. Rather than representing an actual person, Marlene’s portraits represent an emotion or a state of mind. 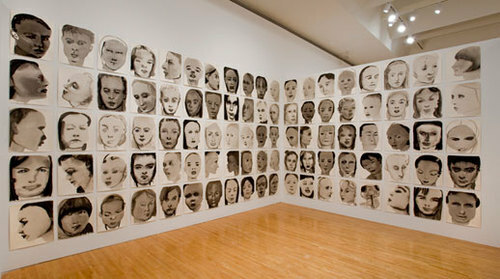 Themes central to her work include race, sexuality, guilt, innocence, violence and tenderness. Her work encourages me to be more free in my drawing and to think about drawing in a wider spectrum rather than just putting pen or pencil to paper, she has opened my eyes to the fact that you can draw with many materials. I really like her work, it has so much passion within it and the fact that she displayed all of her portraits together as one big piece inspires me to do the same. One piece doesn’t have to be a large painting or drawing it could be a series of them. This is something to think about when displaying my artworks in relation to decay. Ink and Charcoal together are materials I am definitely going to use in the future. I will also revisit wet on wet and wet on dry using indian ink as it is an easy way of making interesting and creative drawings and achieves a great result.